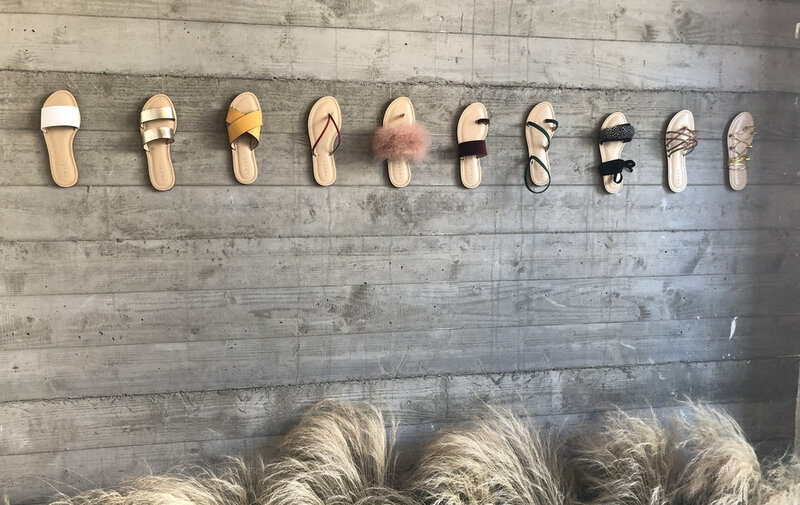 Nestled in little shop on the corner of Melrose and West Knoll, Stylist & Owner of Amanu Shoes, Anita Patrickson is letting the customer become the designer. My family is from Kenya and South Africa. I grew up in Africa, then left for London at 17 and moved to LA at 24. I started Amanu because I saw a huge hole in the market. Sandals were ill fitting with certain styles being really hard to buy. Options with an elevated, refined look were priced really high and then there were the cheap knock offs that fell apart at the end of the summer. I started my career off at Conde Nast and whilst working for a magazine I fell in love with styling. I left and pursued a styling career doing red carpet looks for A List celebrities, editorials and commercials. Its been one of the greatest adventures. I have traveled the world and met the most fascinating people along the way. Amanu is most definitely a new exciting chapter but I am still work with a handful of celebrity clients. FAVORITE TREND RIGHT NOW THAT YOU THINK WILL STICK? New trend that I think will stick (at least as long as a trend can possibly last!) are flats or lower heeled shoes. Whilst I still dress my clients in them on the red carpet, sky high stilettos in every day life are becoming a thing of the past. Why be miserable when you can be comfortable AND chic?! 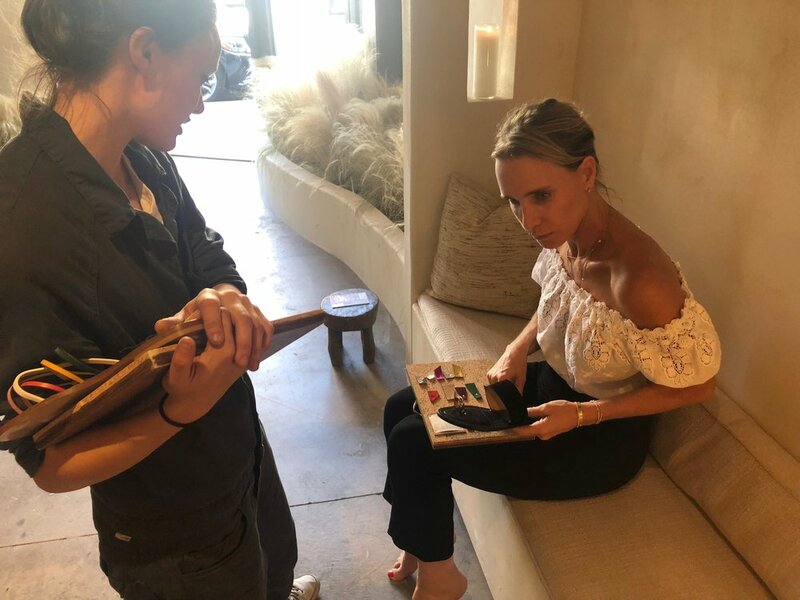 WHAT AMANU SANDAL DO YOU THINK IS PERFECT FOR THE FLYNN GIRL? The style I see the gorgeous Flynn girl wearing is Style 7, its so flattering on the foot. It's also really fun to create custom straps in different color ways to suit a specific dress for a special occasion! I could also see her loving Style 10, the gladiator sandal! Its perfect for day or night and works beautifully with everything from maxi dresses to jeans. 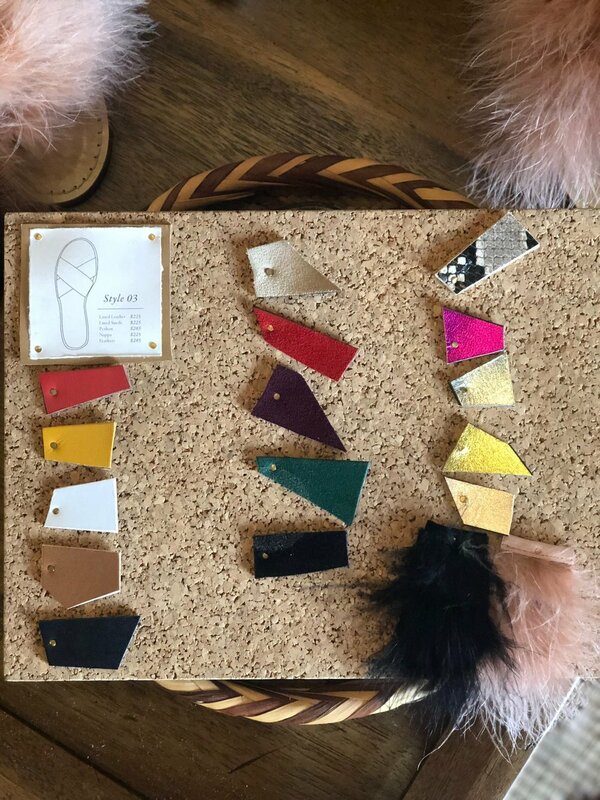 AMANU IS A BRAND THAT VALUES TRADITIONAL CRAFTSMANSHIP AND SIMPLICITY, WAS THERE A CERTAIN ASPECT OF YOUR UPBRINGING THAT INSPIRED THIS BUSINESS MODEL? Growing up in Africa I have a real appreciation for what we call "African time'... just slowing down for a second and not trying to rush it all through. 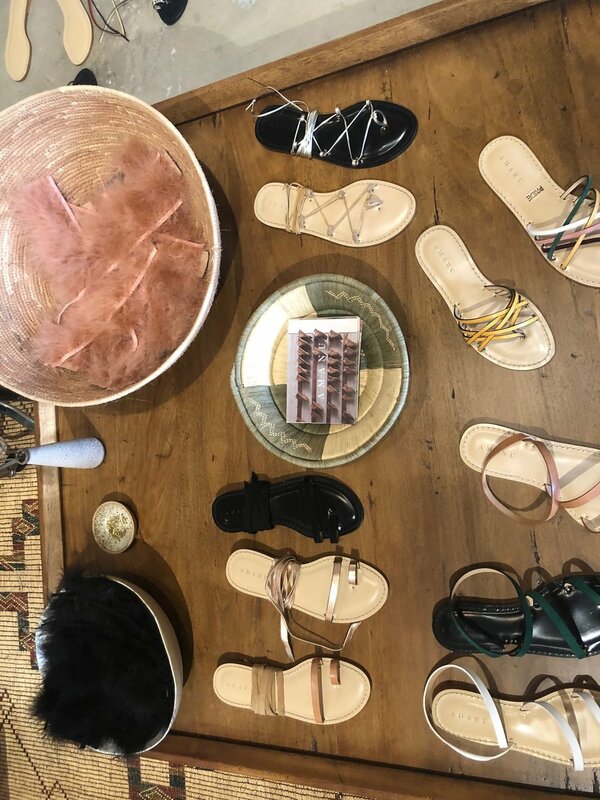 Whilst we only take 30mins to complete your sandal, being able to connect with the shoe maker, sit and have a glass of rose or cup of tea in our gorgeous store that feels like a tranquil holiday retreat and watch an ancient technique being used in a modern day world. I find that incredibly cool and very refreshing. I am also love the process. We have a massive respect for the environment and are trying to be as environmentally conscious as possible, we cut off only what we need for each show and just by using human strength and little brass tacks, we are able to cut our carbon emissions and chemical emissions significantly. HOW DID YOU DECIDE TO MAKE THE TRANSITION FROM STYLING TO STARTING YOUR OWN BRAND? I have always wanted to build something that is bigger than myself and a story that lasts longer than an editorial issue or Oscar red carpet and AMANU just felt exactly right and very in tune with my own aesthetic and passions. I still style and still work with my celebrity clients it's actually been a wonderful marriage of all my loves. I now just have a lot more clients who I get to touch... well their feet at least.